Edinburgh’s first new concert hall in more than a century will provide performance space for a range of musical styles. 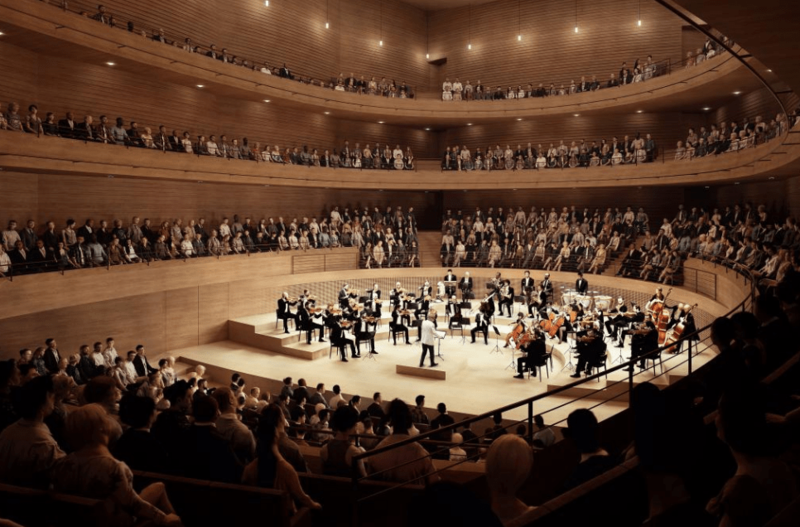 The £45 million complex will provide a long-awaited home for the Scottish Chamber Orchestra, but is also expected to host folk, jazz and electronic music and become an additional venue for the Edinburgh International Festival. Detailed designs for the 1,000-capacity auditorium were revealed as a formal plan was submitted to Edinburgh City Council. It will have a rooftop dome, with a colonnaded glass-covered walkway and outdoor terraces, all housed in an egg-shaped building which will respect its Georgian New Town neighbours. The so-called Impact Centre includes smaller studios and public spaces where 250,000 visitors a year will be entertained by daily musical performances. 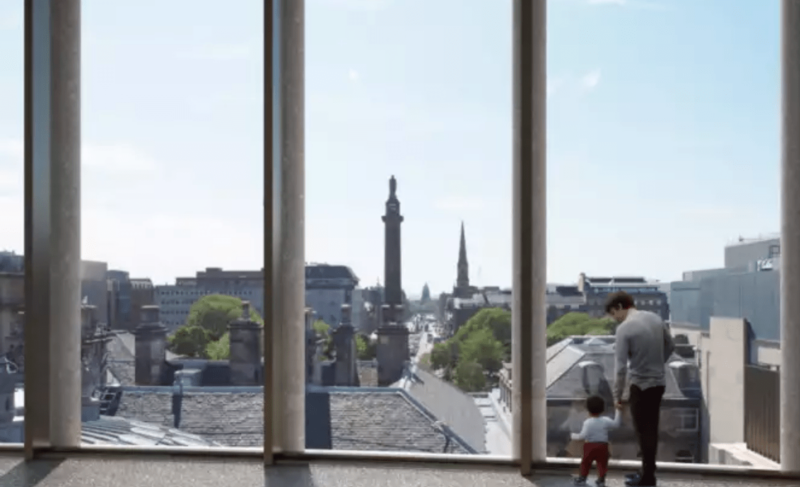 Architect Sir David Chipperfield said its fourth floor gallery will offer views along George Street, although it will be lower than the bronze-clad swirly hotel being built as part of the nearby St James Centre. 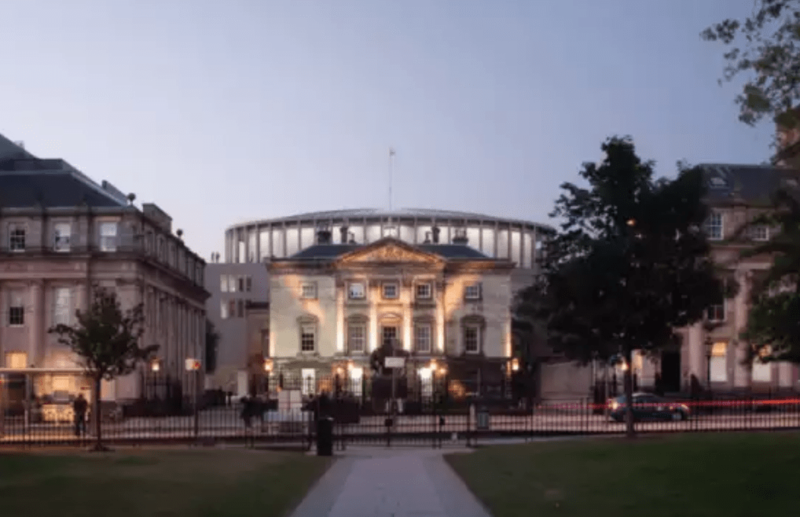 The project has received £25 million of backing from the Scottish and UK governments, and Edinburgh city council and substantially supported by the Dunard Trust, one of the biggest privately-funded supporters of the SCO and EIF, with several major donations made since a £10m appeal was launched last year. It is expected to open in 2021 and has been conceived as a “sister” to other venues, mainly the much larger Usher Hall, rather than as a rival. Sir David described it as a “cultural temple”, adding: “A cultural building of this importance in the middle of a city like Edinburgh, and in particular the New Town, is a fantastic challenge.